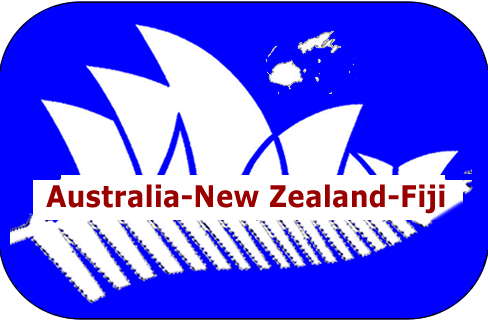 Tailormade ground arrangements for Australia, New Zealand, Fiji. the Cook Islands, Tonga, Samoa, New Caladonia and Vanuatu. Tailor Made Itineraries - Let us build the perfect itinerary for your client. Our ground partners will ensure that your client returns having had an experience of a lifetime. Easy and simple - Your client will have a full itemised itinerary with virtual voucher numbers for all hotels and activities. We also provide a 24 hour emergency service at the destination. Trend Alert - Your client will book tours while away. Earn commission by pre-booking tours before your clients departs. You can save them money as most tours are cheaper when booked outside the destination countries to encourage tourists to take part. Hotels, Resorts, Lodges and Apartments - We have live access to all accomodation throughout Australia, New Zealand and Fiji with very competitive rates. Our range includes everything from backpacker hostels right up to the very best five star resorts. Whether your client requires a single night or a complex itinerary please contact us for availability and pricing. Transportation - We can organise transfers to and from airports, ports or hotels in anything from seat in coach to private transfers by car, seaplane or helicopter. Please contact us for details. Motorhomes and Campervans - We offer a wide range of options through a number of different operators throughout Australia and New Zealand allowing us to find the best value available at the time of booking. Our pricing policy is based on vehicle availability in order to have the most competitive rates available. Walking/Trecking in New Zealand - Our agents can book any of the recognised routes available in New Zealand.The most popular treks are Milford Track, Routeburn Track, Hollyford Track and Abel Tasman Walk. Packages include overnight stops in huts or campsites. AAT Kings Tours - AAT Kings guided Day Tours and Short Breaks are very convenient and provide the perfect way to take it all in, learn about the area and hear insights from expert Driver Guides. AAT Kings provide convenient city break packages that take in all of the sights as well as longer options to suit all pockets from economy to luxury trips. Reef Cruising and diving - We have access to a wide range of options on the Barrier Reef including day trips, island hoping sailing or cruising and professional diving options with onboard multinight stays. Theme Parks, Tours & More - We can book anything including theatre tickets, baloon rides, theme parks, Australia Zoo, Eureka Skydeck in Melbourne or a picnic on a mountain side by helicopter to name but a few. No matter what the request just ask us as we can probably do it. Other Services - We also offer social media marketing management, web building and video adverts for social media including full analytic reports on all campaigns run by us.